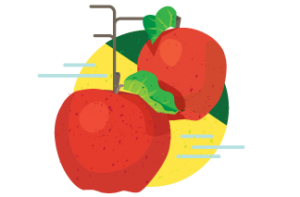 Here you will find a toolkit for sourcing into the program and a complete listing of regional produce aggregators and food hubs. Farms interested in growing for the Harvest of the Month program will also be encouraged to list with us as a source of potential local food for distributors and aggregators. This page is open and available to all distributors sourcing local foods for Illinois child feeding sites. Consider joining Aggrega8, a FarmLogix technology that allows distributors access to source-identified products through a user-friendly online platform. Learn more about Illinois Harvest of the Month’s partnership with FarmLogix here. Are you an Illinois producer, food hub or processor? Contact us to share your information! High quality, locally grown and milled organic and transitional grains distributed through Central Baking Supplies in Chicago. View a list of local and regional food hubs with location and contact info, as well as a map from USDA. Illinois Harvest of the Month is an easy program that helps child feeding sites buy and serve more local food while teaching kids about healthy eating, nutrition, and agriculture. Each month, participating sites can feature a different local item on their cafeteria menus. This brings more money to local farmers and puts more nutritious food on student’s plates. Additionally, Harvest of the Month foods come with activities and resources for ways to increase education around that food. Each school year, a new calendar is distributed with a list of local/regional food items under each of the four Illinois seasons. The calendar is designed to follow the academic calendar beginning in Fall and ending in Summer. You can find the calendar on our homepage, in the right sidebar, or directly as a PDF here. Participating feeding sites are encouraged to feature an item from the seasonal list but can substitute for other local-source-identified produce or staple such as a dairy product, honey or maple syrup (see below). This is a tool to help participants stay on track with the program and to aid in planning for menus and activities. Any food procurement is considered as local or regional (and therefore counts as participation in the Harvest of the Month program) if the food item is source identified as coming from Illinois, Indiana, Wisconsin, Michigan, Iowa, Minnesota, including Missouri and Kentucky for our southern and southwestern districts. Local, seasonal fruits and vegetables and staple items produced in our region, such as dairy, grains, honey, and dried beans can be procured through a variety of methods. Processed items must be healthy and “nearest to their natural form”. An example: Potato Smiles or French fries are not a qualifying Harvest of the Month item, although frozen, cubed, minimally processed regional potatoes are considered a qualifying item. Schools decide the most efficient way to procure local and regional items in their area for Harvest of the Month. In Jan. 2018, 954,721 lbs of storage apples were procured by just nine Illinois school districts! That’s just one month of Harvest of the Month purchases from these districts. Monthly seasonal listings are based on seasonal and regional availability from Illinois, Indiana, Michigan, Wisconsin and Iowa Extension offices, and the Illinois Department of Ag. By choosing and promoting featured, seasonal selections each month, our school participants help to build up the market for local and regional produce. They also help farmers by utilizing items currently grown in this state and in the surrounding region. This allows our regional and local farmers to focus on growing more produce for wholesale so Illinois child feeding sites can order and procure easily. Check out these PDFs on fruit and vegetable availability in the Great Lakes region. Our website contains tools and information for many fruits, vegetables, and staples that are produced in the region. There is a variety of choices available when ordering regional and local produce. The form of produce to procure (fresh and minimally processed fresh, frozen, or dried produce) is determined by crop availability and by the constraints of each site’s kitchen facilities and staff. With the increase of fresh local ordering programs and local processing programs, there are a growing number of options for minimally processed fresh, frozen and dried vegetables and fruits in Illinois. Searching for that perfect fit will require conversations with site food service managers, produce houses and aggregators in the region. By running a simple online search of local food aggregators and regional processors or food hubs you can begin to assess the availability of local and regional options in your area of the state. When considering integrating these items into your distribution be sure to determine pricing, delivery, food safety, seasonal availability and quantities available. Every school has a unique set of restrictions and capacity. Confirm the origin of the primary fruits and vegetables in processed products. Secondary items, such as additional vegetables or minor recipe ingredients, which make up less than fifteen percent of the total product volume, may not be local or regional items. Understanding those volumes will help to determine if the product fits with a school’s goal of obtaining local or regional food. Local and regional foods are not like commercial food products sites get from their primary distributors. These products are fresher and are most likely processed clean without the use of sodium or additives. Shelf life and performance under hot and cold holding conditions may differ. These products may also have different yields than commercial products. Be sure to share this information with your school and feeding site customers. 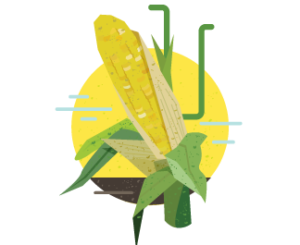 The Illinois Harvest of the Month website is full of tips, tools, and resources. You’re already on it, how easy! Also, check out the Illinois Farm to School website, the National Farm to School website, and the Great Apple Crunch website. Customer Updates: You can sign up to receive notifications of registered sites who have listed your company as a distributor or purveyor for their program if you choose to supply local or regionally identified foods for the program. Your company logo will be listed as a participant with contact information for participating Illinois schools, residential programs, and early childcare feeding sites. Please email diane@sevengenerationsahead.org to request updates as it is a closed-group for distributors participating in the program. Updates for each year will begin in September. You can also subscribe to the monthly Illinois Farm to School Network newsletter to learn more about resources, grants, partnership opportunities and more. Is your company looking for a candidate to act as a local product procurement specialist? Share your employment ad with us, to be added to our monthly newsletter, and it will be seen by potential candidates currently working in the local food network! You will also receive invitations to future network webinars, local food meetings, and events. Sign up for the IFSN newsletter here. Any and all questions can be answered by using the contact form or emailing diane@sevengenerationsahead.org directly.